This article was posted on Monday, April 25th, 2016 at 2:18 am and is filed under Tours of Peru. The Incas are by far the most well-known of Peru’s native tribes, famous throughout the world for their mountain cities and their fascinating culture. But the Incan Empire was hardly the only noteworthy Peruvian culture to thrive in the days before European settlers arrived in the Americas. 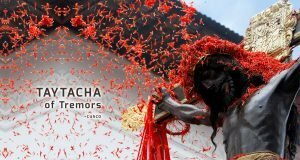 To experience the full cultural history of Peru and its people, travelers should also know about these lesser known, but equally important, ancient indigenous cultures of Peru. The Wari civilization thrived in the south-central Andes and coastal regions of modern day Peru during the Middle Horizon period, roughly AD 500 to 1000. Centuries before the Incas became the dominant Andean culture, the Wari were the masters of a large territory that extended for hundreds of miles along the Peruvian coast, until centuries of drought and violent clashes with other tribes eventually caused their empire to collapse. 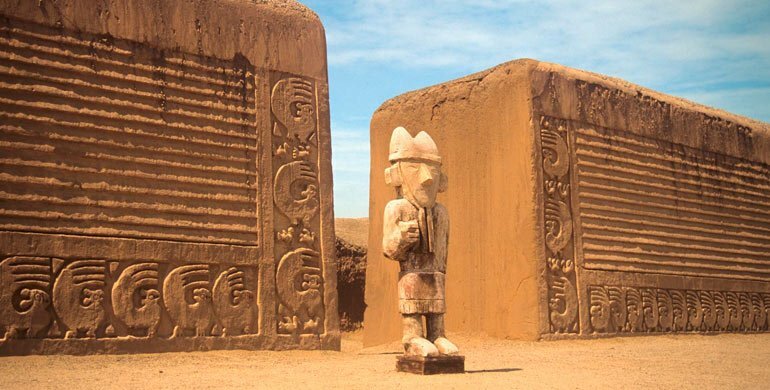 While much about the Wari is a mystery to us today (they left no written records), they did leave behind many notable ruins scattered throughout their former domain, including famous ruins near the modern day cities of Ayacucho, Chiclayo, and Cerro Baul. 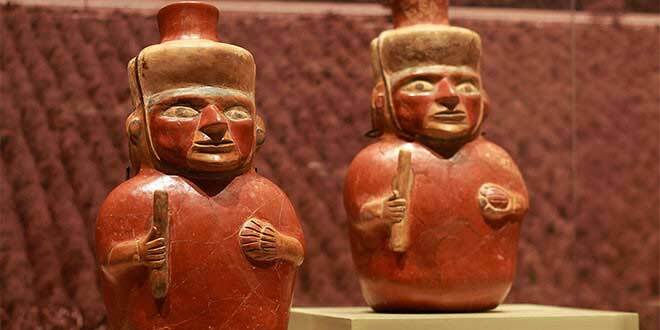 The most recent major find regarding the Wari was made in 2013, when an undisturbed royal burial tomb, containing thousands of artifacts and 60 ancient bodies, was discovered north of Lima in 2013. The Moche civilization is even older than the Wari. Between AD 100 and 700, the Moche people thrived in northern Peru, spreading their unique culture and religion throughout the area. Unlike the Inca and the Wari, the Moche are not believed to have been militaristic conquerors who expanded their influence and territory by force. Rather than a monolithic empire, the Moche were a loosely knit confederation of agricultural tribes that were united together by a shared culture and religious beliefs. Though the Moche civilization collapsed in the 700s, most likely as a result of catastrophic climate changes that caused decades of flooding followed by further decades of drought, they left behind many intriguing artifacts, including one of the most varied collection of ceramics ever produced by an ancient civilization. Some of these Moche artifacts have even been discovered in sights belonging to the Inca-Nazca people, the early predecessors of the mighty Incan Empire that would rise within the next few centuries. The Chimu (AD 1100-1470) were contemporaries of the Incas, and the descendants of the Moche. Like their Moche ancestors, the Chimu were masters of pottery and ceramics who left behind many spectacular artifacts, from ceremonial vessels to everyday containers. 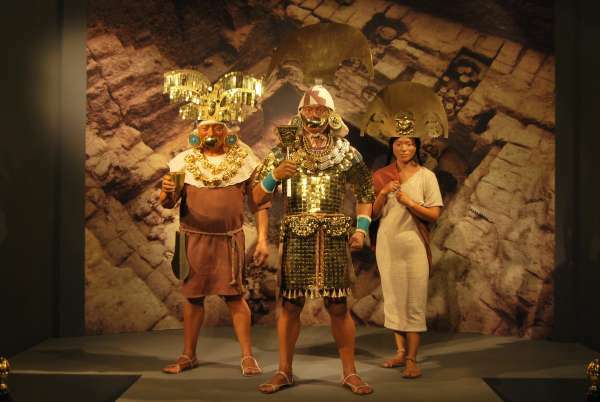 What’s more, by the late period of their culture the Chimu were also master metal workers, capable of fashioning ornately designed pieces in gold, silver, bronze, and copper. Ruling a territory that ran along Peru’s northern coast to the foot of the Andes, the Chimu were eventually invaded by their Incan neighbors. The fall of the Chimu happened close enough to the arrival of the first European explorers that Spanish chroniclers were able to interview Chimu survivors, giving the conquered tribe the chance to leave behind some record of its existence (aside, of course, from the thousands of beautiful ceramics and metal sculptures that fascinate locals and travelers to this day). Want a chance to see some of these fascinating ancient culture’s landmarks and artifacts in their native land? Contact Best Peru Tours today to save money on the perfect Peruvian tour package.